All schools are open and buses are running today, Wednesday February 13. Due to continued snowfall and snowy road conditions throughout the Comox Valley, all schools are closed today, February 12, 2019. The Education Committee meeting scheduled for tonight has also been cancelled. Due to icy/snowy road conditions throughout the Comox Valley, all schools are closed today, February 11, 2019. 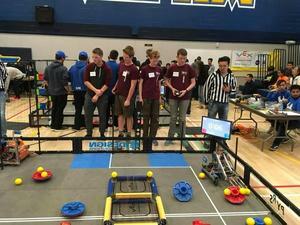 The Valley will witness the return of the annual robotics tournament that will bring 50 high school teams together to compete at the regional level Saturday 19 January at Highland Secondary. Now in its 10th year hosting the VEX Robotics Regional Tournament, students from across Vancouver Island and the lower mainland will participate in an all-day competition in hopes to earn a spot at the provincial level taking place in March. Three of the eight recipients for the 2018 Premier’s Awards for Indigenous Youth Excellence in Sport, Vancouver Island Regional are from a Comox Valley Secondary School. 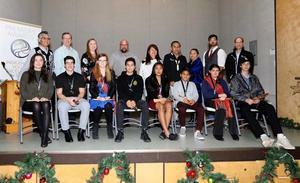 The Awards were presented during a formal celebration held at the Wei Wai Kum First Nation Thunderbird Hall in Campbell River, November 27. Route information for buses operating throughout the district for end of day have been updated. Click on Read Full Story for specific bus route information. 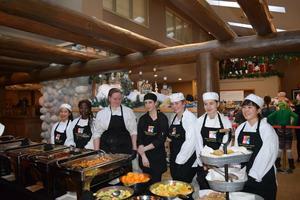 Tammy Williamson's Culinary Club students were invited to cook at the Tigh-Na-Mara Resort with Chef Eric and his team for a community toy-drive and fundraiser. The charity brunch served close to 2,000 people. That's a whole lot of happy toddlers this holiday! Due to the inclement weather and road conditions, the Education Committee meeting has been cancelled for January 8, 2019. Details will be announced once the meeting has been rescheduled. Tribune Bay Outdoor Education Society is seeking candidates for the position of Managing Director - Operations, Community & Corporate Relations. The Managing Director is the lead advisor and implementer of programs for the Tribune Bay Outdoor Education Centre (TBOEC). Candidates can apply on the Make a Future website. 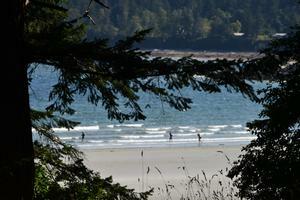 Comox Valley Schools has taken a bold step forward in enhancing environmental learning opportunities by creating a new teaching position that will be responsible for integrating the outdoors with the education curriculum. 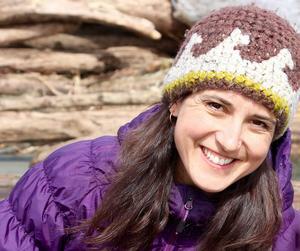 The School District recently hired Serina Allison as the districts first Environmental and Outdoor Education Lead Teacher. The District is building upon the opportunities already created to help educate youth about the unique and diverse environment that exists in our region.